Vitamin D is mostly produced in the skin when sunlight touches our skin, also when it’s absorbed from eating food, (only a small percentage of vitamin D is absorbed by food) as part of a healthy balanced diet.The liver and kidneys convert the vitamin D into the active hormone, which is called calcitriol, which is a steroid hormone that has long been known for its important role in regulating body levels of calcium and phosphorus, and in mineralization of bone. Active vitamin D helps to increase the amount of calcium the gut can absorb from food into the bloodstream and also prevents calcium. Vitamin D modifies the activity of bone cells and is important for the formation of new bone in children and adults. And yes we’ve all been told that vitamin D is essential to maintain strong healthy bones and the best way to get vitamin D is sunlight. We all get a little envious of those who live in sunny regions, but even though sun can be abundant in some locations, it doesn’t mean that your skin will produce vitamin D in 80 degree temperature.In fact some of the sunniest countries in the world such as Saudi Arabia has a vitamin D deficiency crisis. Now many things need to happen, first and foremost you need to take your clothes off. Yes that’s right bathing suit and all where the sun is penetrating directly to your skin, and the recommended amount is 30 minutes daily of direct sunlight. Wearing clothing in the sun will not help your skin to absorb Vitamin D, and neither will putting sunscreen on, but we won’t get into the sunscreen debate in this blog. Not everyone however will get the opportunity to live like their vacationing in Mexico every day, so this is why we suggest looking into vitamin D 3 supplementation after determining what your vitamin D blood test levels are. According to Quest Diagnostics the recommend reference range is: 30-100 ng/mL. However over 50% of the US population is less than the normal reference ranges. There actually may be a link between Vitamin D deficiency and mood disorders which lays between the neurotransmitters Serotonin. Our serotonin neurotransmitters is responsible for us having a sense of well being. In other words for us feeling calm, cool, and collected. Let’s take a look at serotonin really quick. It’s the job of serotonin to help us feel good. The process of creating serotonin in the body is pretty interesting. It comes down to a chemical call tryptophan. What tryptophan is, is an amino acid and those amino acids are derived from proteins that we consume. And when we consume those proteins we generally require carbohydrates to allow the tryptophan to enter into the brain. What researchers are now finding is that Vitamin D could be a critical component in that conversion process. So essentially you eat your protein, get your tryptophan, then vitamin D comes in and assists in the creation of serotonin. This is right at the very root of creating the neurotransmitters that helps us feel good. Researchers are continuing to back up the fact that everything seems to be connected in what’s called Monoamine. The Monoamine system are a group of neurotransmitters including serotonin, dopamine and, norepinephrine, all 3 neurotransmitters that truly regulate how the brain operates when it comes to feeling good. If we include Vitamin D 3 in our supplementation agenda daily we could see a better creation of monoamine firing up on all cylinders in our body, hence making us feel great. There are multiple studies that back up the correlation between vitamin D deficiency and depression, vitamin D deficiency and anxiety, and even vitamin D deficiency and suicide; in addition, to the link between vitamin D deficiency and the development of schizophrenia. This has been researched among patients of all ages around the globe. One meta-analysis reviewed 19 studies published between 1988 and 2013 and found a strong association between vitamin D deficiency and schizophrenia. Of the 2,804 participants from these studies, over 65% of the participants with schizophrenia were vitamin D deficient. Vitamin D deficient participants were 2.16 times more likely to have schizophrenia than vitamin D sufficient participants (Valipour, Saneei, & Esmaillzadeh, 2014). Simply said Vitamin D it’s no more than a pro hormone that activates various functions that create other functions in the body to help you feel your best by increasing your energy and mood levels, helping your immune system become stronger, fighting off cardiovascular disease and even helping to eliminate diabetes. 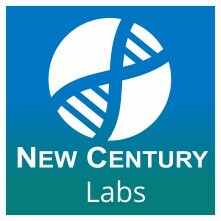 New Century labs does not promote any vitamin companies however we do promote blood testing before any supplementation and showing your doctor your blood test results to ensure you get the proper dosage and then to blood test again several months later to track your levels.